It has commissioned work by Cindy Sherman, David Shrigley, Mark Titchner, David Batchelor, Mark Wallinger and Assemble, and its current programme for 2018 will see new works from Linder and Heather Phillipson, along with 12 million copies of a new print work by Rumania’s leading artist, Geta Bratescu on the cover of its Tube maps. 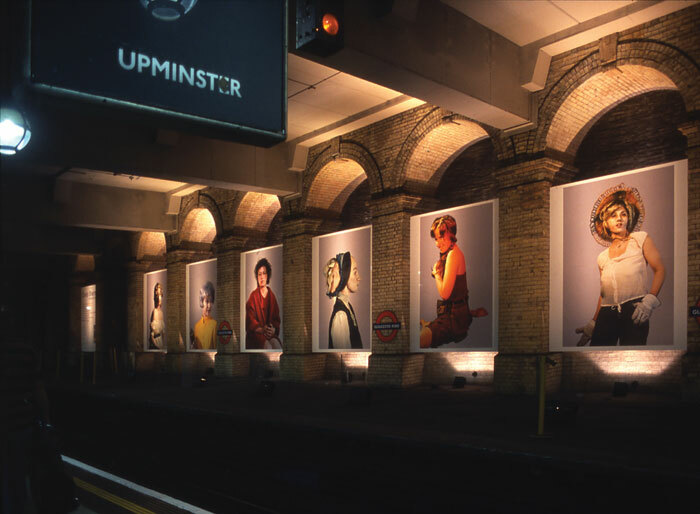 Yet few people have heard of Art on the Underground, one of the most highly regarded of dedicated public art entities in the UK. The start of 2018 saw the culmination of an ambitious commission for Assemble at Seven Sisters Underground station: the refurbishment and remodelling of a commercial unit by the entrance (co-funded by the Arts Council). 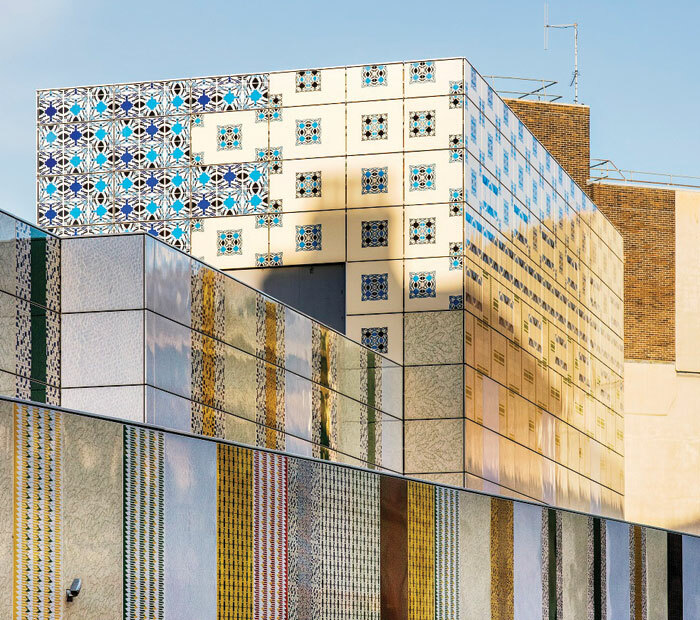 True to the Turner-prize winning architecture collective’s participatory principles, its Clay Station project entailed spending much of last year working with locals and ceramicist Matthew Raw, rebuilding the unit and adorning it with thousands of handmade tiles – referencing London Underground’s long heritage with ceramic tiling. A kiln was provided, a workshop, and two apprentices from the local area who were trained in the art of ceramic production, and who have now gone on to secure jobs within the creative sector; a local barista is also about to set up a coffee shop there. This is art with nobs on – bringing added social and economic benefits. Yet so much of Art on the Underground’s work goes under the media radar while quietly enriching the lives of Londoners and visitors. Readers of FX don’t need to be told that the London Underground has a phenomenal architecture and design heritage. Pinfield flags up some of the highlights when we meet for coffee, just up the road from her Southwark base, in Will Alsop’s Palestra building (all wind turbines and wonky angles, liberally speckled with yellow glazing). Pinfield mentions London Underground’s exemplary relationship with architect Charles Holden, who designed its central London HQ, 55 Broadway, in St James’ Park, not to mention the iconic stations of the Thirties, many of which are now listed; these ended up becoming a company template. But the design legacy really begins with Frank Pick, erstwhile London Underground managing director, who was responsible for bringing Holden on board, along with commissioning the unique Johnston typeface, the roundel logo and Harry Beck’s Tube map; he was recently commemorated by artist duo Langlands & Bell with a memorial at Piccadilly Circus. It was Pick who first made art and artists part of the company’s design DNA, commissioning a poster from Man Ray and sculptures from Henry Moore and Jacob Epstein, among others. Fast forward to 2018, and Pinfield is bringing a whole raft of exciting commissions to the Underground, by a strong roster of established and emerging women artists of many ages and nationalities, marking the centenary year of the Representation of the People Act (whereby all men and at least some women over the age of 30 got to vote). Multimedia artist Heather Phillipson – also about to occupy Trafalgar Square’s Fourth Plinth – is installing a piece along the 80m platform at Gloucester Road; this disused platform is now a permanent display space for AoU. There’s the aforementioned commission for Romania’s most celebrated nonagenarian, Geta Bratescu. A new billboard commission will appear by legendary post-punk, feminist British artist Linder at Southwark Station. Two emerging artists – France’s Marie Jacotey and the UK’s Jade Montserrat are each commissioned for a night Tube map cover (changed every six months). Nigerian-born, Los Angeles-based artist Njideka Akunyili Crosby is making a new photo-collage work at Brixton Station, and Nina Wakeford is creating new work, as part of a two-year residency, at the new Northern Line extension stations, Battersea Power Station and Nine Elms. And does it have impact? She would say so. Around 20 per cent of the people canvassed say they have noticed either posters or artwork on their journeys – 20 per cent of six million a day isn’t bad. One of the most popular works commissioned is Labyrinth, from artist Mark Wallinger. He created a series of 270 ceramic tiles, each of which features a different maze pattern on it, which are embedded in all the stations. She says: ‘It has so truly been adopted into the fabric of London. We have some wonderful obsessives that tweet us every weekend – they go and hunt them all down.